All over the world urbanization continues to grow, and the construction of more housing and office buildings intensify the demand on industrial equipment. Customers want safe and durable vehicles. Horyong meets the need by designing aerial lift cranes that combines the highest level of design with the highest level of quality. “I think that safety is the most important sector for our customers and our equipment is known to be strong. 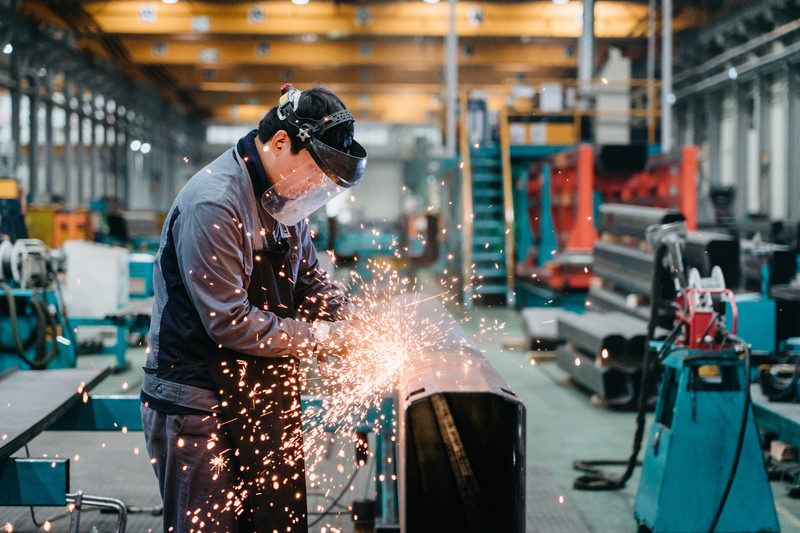 The My Inner Strenx certification makes our customers rely on the products as they trust the SSAB brand,” said Soo-jeong Lee, Senior Researcher at Horyong. She has worked at Horyong for ten years and describes how Strenx performance steel is integrated as an imperative part of the aerial lift trucks design. “Most of the steel that we use in our vehicles is SSAB’s high-strength steel. 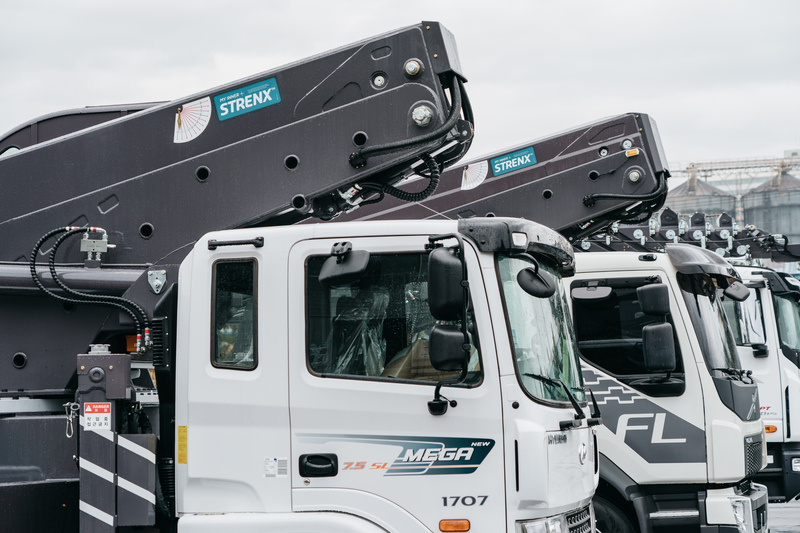 When we design our truck-mounted aerial lifts and ladder cars for operations in high places, we use 90 to 95 percent Strenx steel in the equipment. The steel plate series is reliable and gives the customers the trustworthiness that they seek. Because, when operating in such high places a lot of shaking and bending can contribute to dangerous situations that the customers of course want to avoid,” she said. The 68,359 m² plant of the South Korean company Horyong is situated in Gimje, in the southwest part of the country. From here they ship aerial lift trucks, cargo cranes and eco-friendly electric self-propelled cranes all over the country, as well as export the products to countries around the world. Truck-mounted aerial lifts are mainly used in construction and other work sites that are situated in high places, such as building maintenance. The vehicles improve logistics to high buildings, lifting heavy material and moving heavy objects. With 28 years of R&D efforts, Horyong produces the tallest ladder and aerial lift vehicles in South Korea – the highest of these reaching 75 meters up in the sky. In order to make the trucks able to be more efficient by lifting more material and reaching higher up, the structure needs to be as light as possible. “Strenx steel improves the quality of our products. 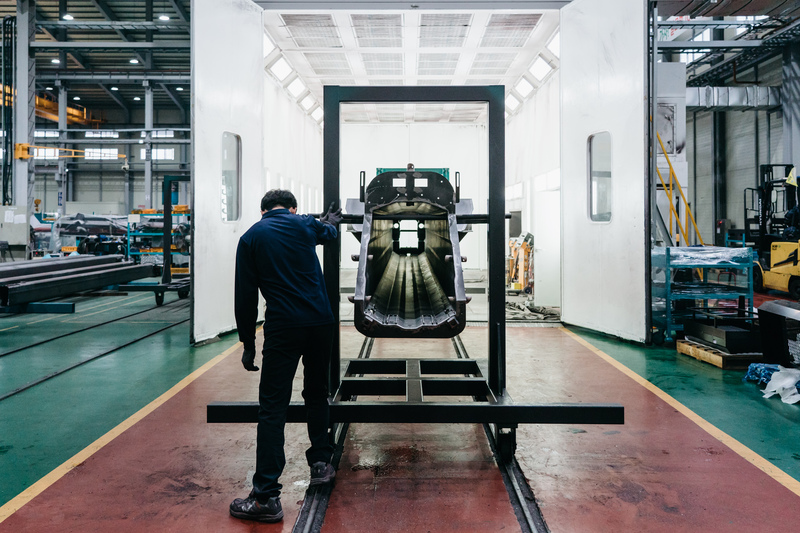 By making vehicles out of SSAB’s high-strength steel I think we will be able to knock out more excessive weight and continue to achieve even more innovative designs,” said Soo-jeong Lee. 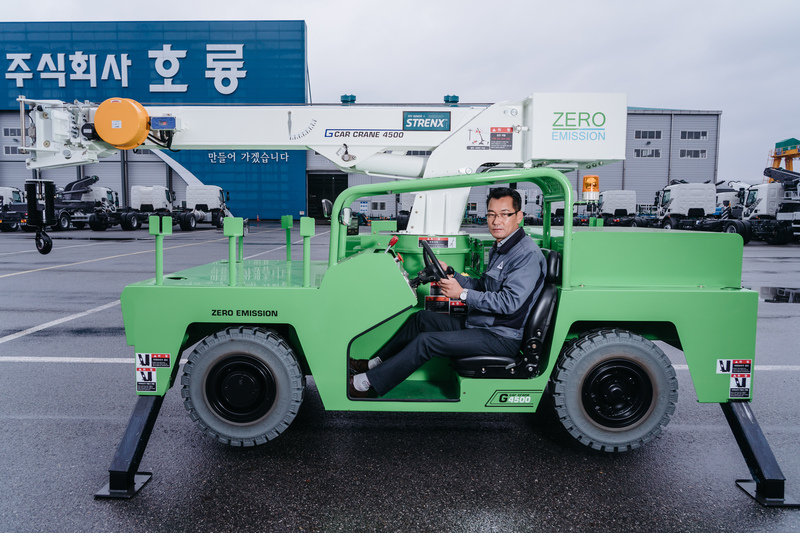 Horyong Sales Manager Park Cheol agrees that the lightweight, yet high-strength steel from SSAB will help the company to innovate new and better products. “We use SSAB’s Strenx steel plates to be able to follow the current global trend, which is making equipment light-weight. I think that this is something we can utilize in the future in the market for heavy operations, to reduce the weight and achieve even more efficient work,” he said. Park Cheol feels that the partnership between SSAB and Horyong is a win-win relationship. “We are manufacturing specialty purpose vehicles and the Strenx steel is the perfect fit for these challenging jobs. In addition, I think SSAB contributes greatly in the development of our commodities. As we are part of the My Inner Strenx program, SSAB provides us with extensive and prioritized support on the technicalities of the steel plates so we learn more about how we can use them, and consequently develop new products. I'm sure that this collaboration is going to continue to bring us even better results in the future,” he said. Horyong Compnay Ltd. was established in 1990 in Gimje, South Korea and started to produce areal lift trucks in 1991. The current production site, with four factories spread over the 68,359 m2 plant in Gimje, was built in 2015. 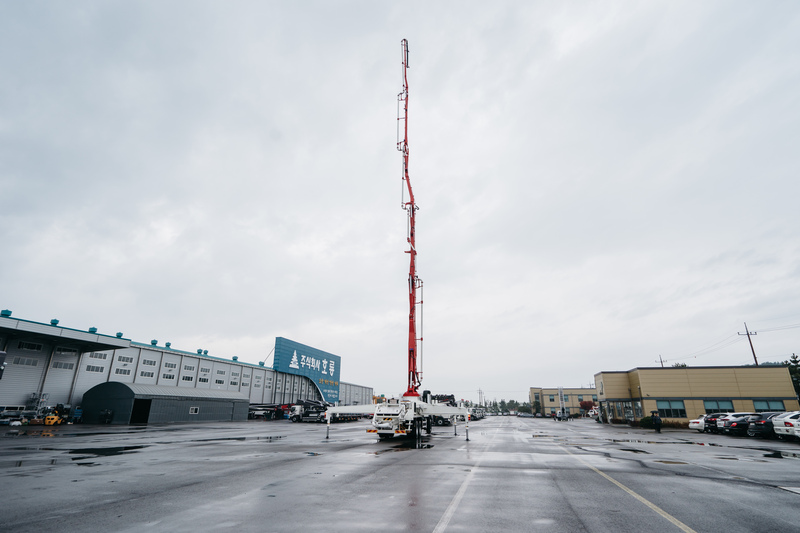 The company produces vehicles for operations in high places, such as ladder-lift trucks, aerial lift trucks, jib cranes and carry deck cranes vehicles with CE (Europe), CCC (China), ANSI (USA) and CUTR (Russia) certifications. They also manufacture electrical self-propelled cranes and other energy saving CPT (Concrete Pump Truck) vehicles. Horyong is a global company and has received the South Korean state-funded KOTRA Seal of Excellence for which companies are qualified according to three major criteria: quality, high technology, and trustworthiness.